In loving memory, Violeta L. Radlovska Zebeau, was the sunshine to all lives she touched. Violeta was a native of Sumy, Ukraine and became a citizen of the United States of America in 2010. She obtained a masters degree from the University of Culture in Kiev, Ukraine in piano and musical college in Sumy, Ukraine. 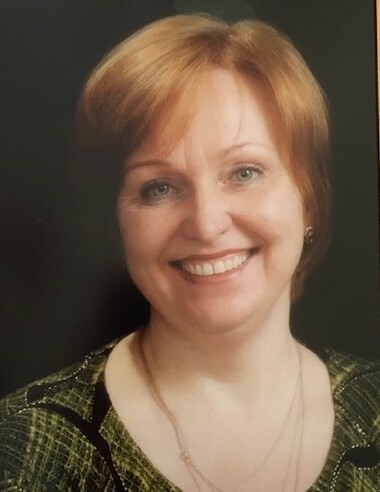 She had over 40 years experience in music and over 25 years in teaching. She taught piano and voice at the Wehner’s School of the Arts in Orange Park, FL. Violeta was full of joy, love and life. Her love of music and teaching transcended to all of her students. She never met a stranger and always found the positive in everything and everyone. Her memory will be cherished and her infectious smile will be sincerely missed, but her unique spirit will be carried in our hearts forever. She is predeceased by her father, Lev Radlovskiya and mother, Anna Truba-Radlovska both from Sumy, Ukraine. Violeta was the loving, loyal and cherished wife of Leonard R. Zebeau, of Fleming Island, FL. She was also survived by her brother, Yaroslav; sister-in-law, Sasha and niece, Sofiya, all of Fleming Island; the Zebeau family, sister-in-law, Anna Maria and brother-in-law’s Vincent Jr. and Anthony, all from Baton Rouge, LA. A viewing will be held on Sunday, March 24, 2019 from 2:00 p.m. to 4:00 p.m. at Aaron and Burney Bivens Funeral Home, 529 Kingsley Avenue, Orange Park, FL 32073, (904) 264-1233.